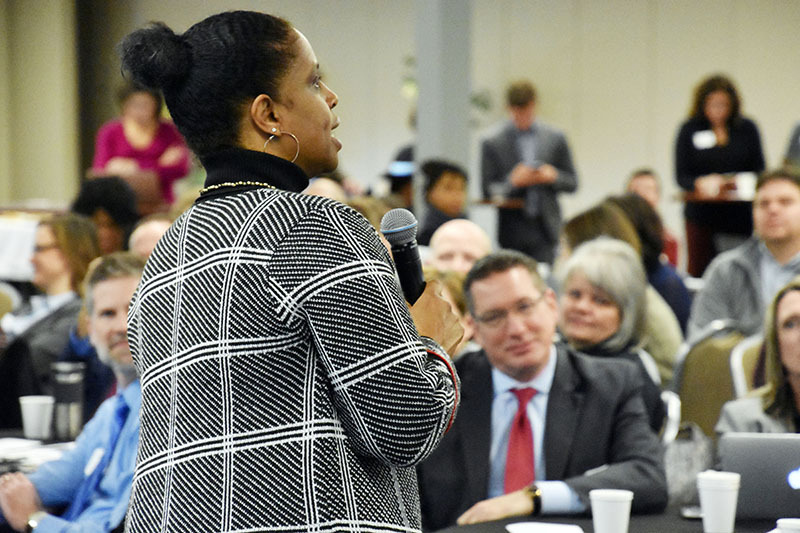 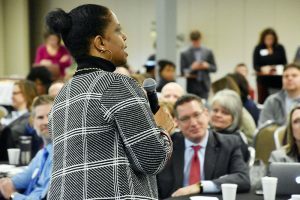 More than 150 education leaders turned out to the Association of Metropolitan School Districts’ annual conference on Nov. 28, which focused on ensuring equity for students against the backdrop of last year’s Reimagine Minnesota event. 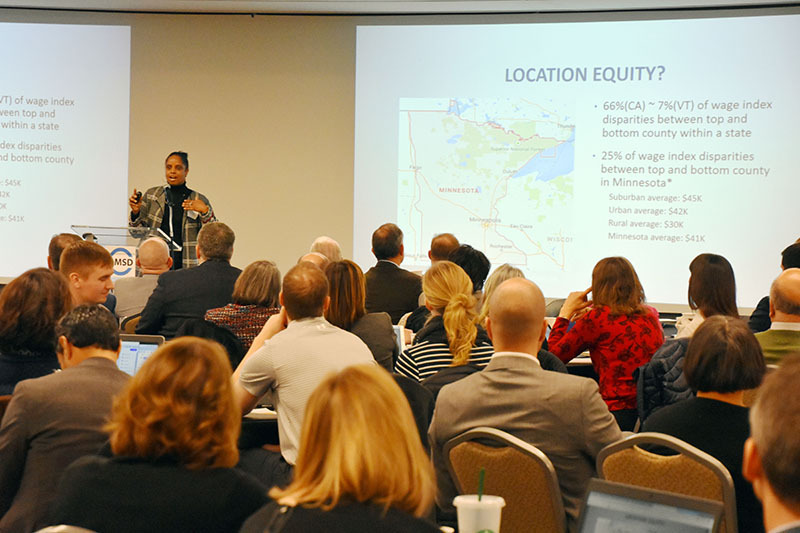 This year’s conference, “Ensuring Equity, Access and Opportunity for All Students,” featured nearly a dozen presenters who spoke on the Reimagine Minnesota strategy centered on the importance of a state funding system that ensures equity, access and opportunity for all students. Dr. Tom Melcher, the director of school finance for the Minnesota Department of Education, opened the conference with what could best easily be described as “School Funding 101” — a breakdown of the complicated mechanics behind school revenue, and the multiple variations that can affect each district’s annual revenue. 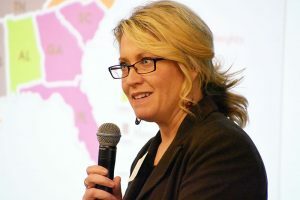 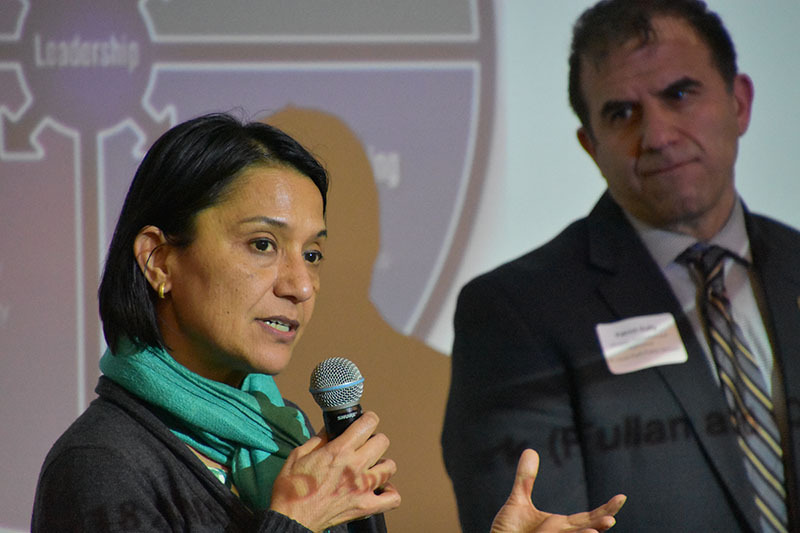 Dr. Nicola Alexander, an associate professor in the Education Policy and Leadership program at the University of Minnesota, followed Melcher with a broader perspective on the values behind school budgeting. 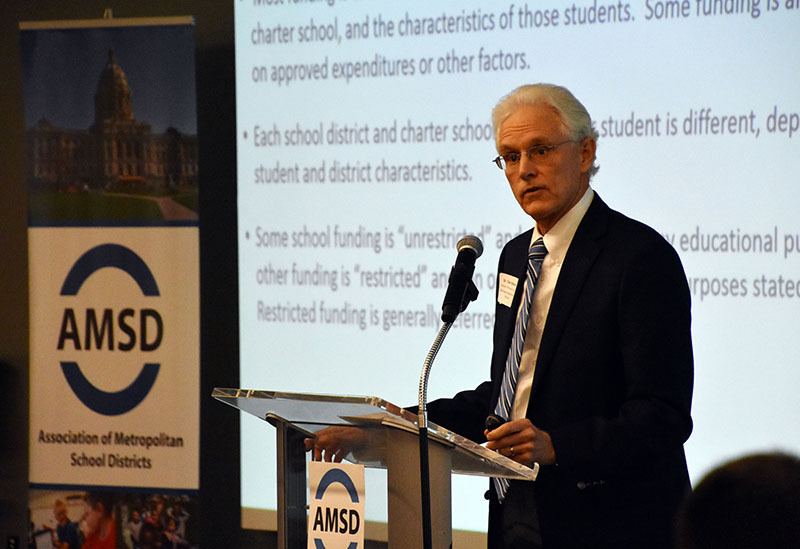 With a background in public administration and policy, Dr. Alexander is a former board member of the American Education Finance Association and the incoming president of the National Education Finance Academy. 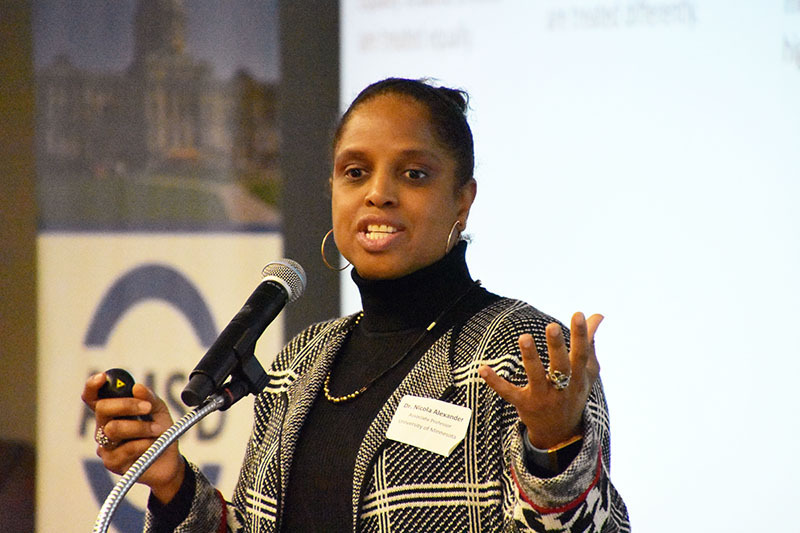 Her research covers topics of adequacy, equity, and productivity as they relate to PK-12 education — which made her presentation all the more timely. 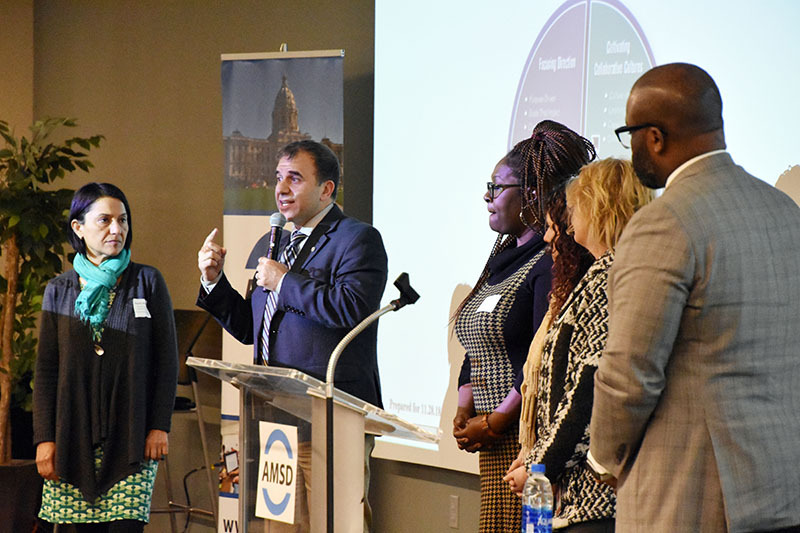 Alexander talked to the group about the financial realities of equitable education in Minnesota by transposing current data from Minnesota’s urban and rural divide to show they’re more connected than many Minnesotans realize. 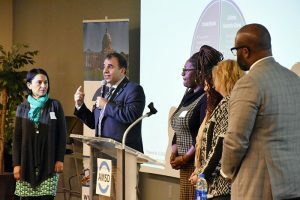 “While Minnesota has provisions to address high need, such as poverty, these efforts are somewhat muted in metropolitan areas because we don’t take into account differential costs,” such as higher costs of living or higher salaries, Alexander said. 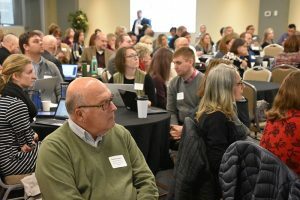 Marcy Doud, the Assistant Superintendent of West St. Paul-Mendota Heights-Eagan Area School District, and Renae Ouillette, the Executive Director of Student Services in Lakeville, followed Alexander and outlined the challenges of ensuring equity in special education — which is already a significant cost to AMSD districts. 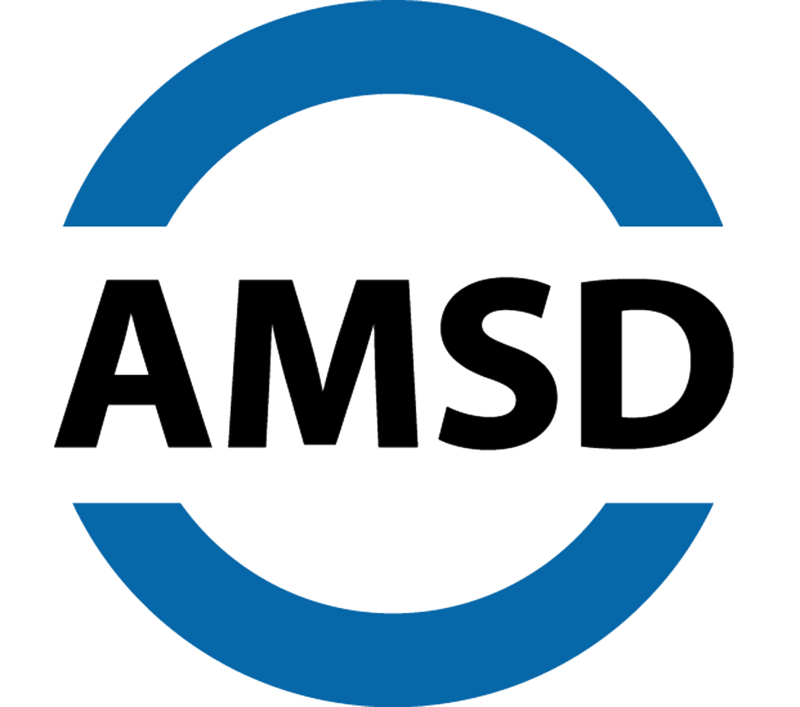  The Special Education Cross-Subsidy — the amount by which special education expenditures exceed revenue provided by the state and federal governments — was nearly $428 million in 2017 for AMSD districts, and more than $672 million statewide. The state’s projected cross-subsidy is expected to top $816 million by 2021. 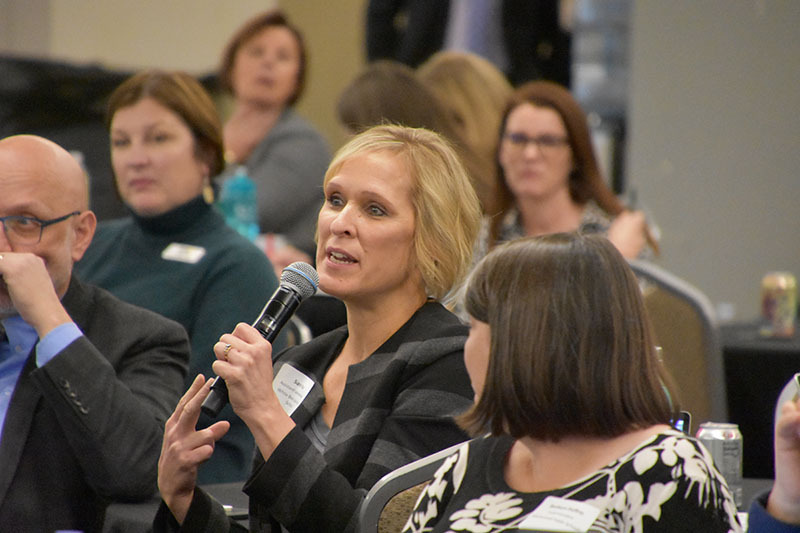 Following lunch and table discussions, officials from Rochester Public Schools offered a first-hand perspective about the benefits of offering a year-round calendar to students. 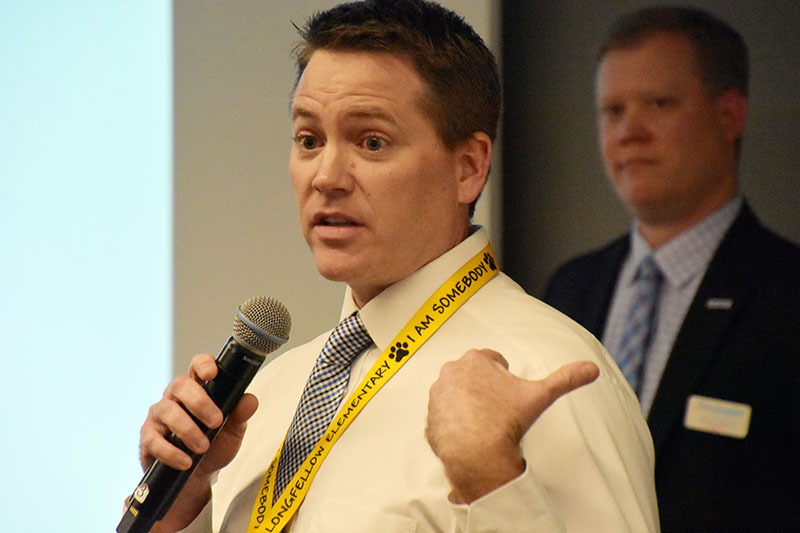 Executive Director of Finance John Carlson shared how Rochester is using existing funding streams to deliver the program, and elementary principal Kris Davidson talked about the positive impact having year-round school has on students and how popular the year-round calendar is with staff and parents. The session closed with Astein Osei, who has been the superintendent at St. Louis Park Public Schools since 2017. 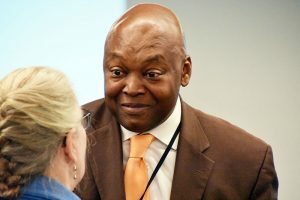 Superintendent Osei brought his leadership team to the front of the room to share how they are using Q Comp funding to deepen teacher racial consciousness through instructional coaching — and this equity work has broadened perspectives for staff and students alike. “The purpose of our instructional coaching model is to build educators’ will, skill and capacity to disrupt systemic racism in order to impact student achievement and experiences in St. Louis Park Public Schools. 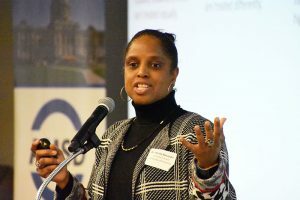 So our purpose is very clear,” Osei said.